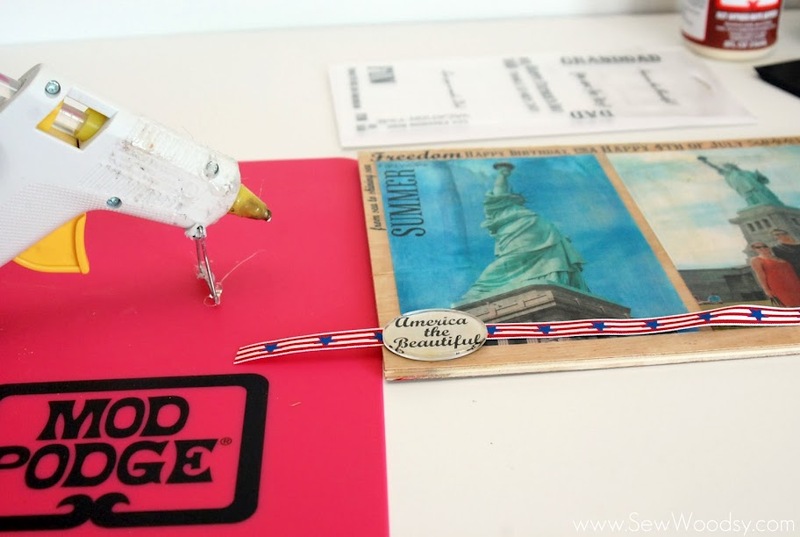 I love using Plaid Crafts Mod Podge. 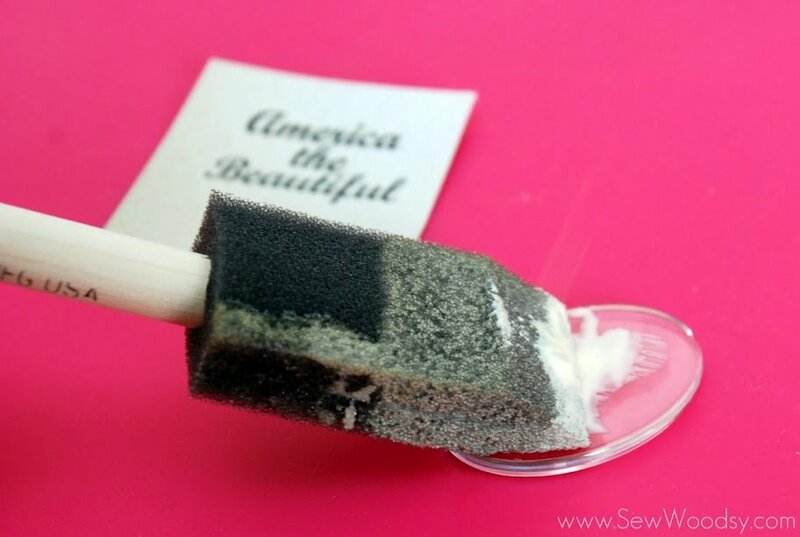 I tend to use it as often as possible on a variety of home DIY projects. I was eating breakfast one day last week and that’s when this project idea came to mind. 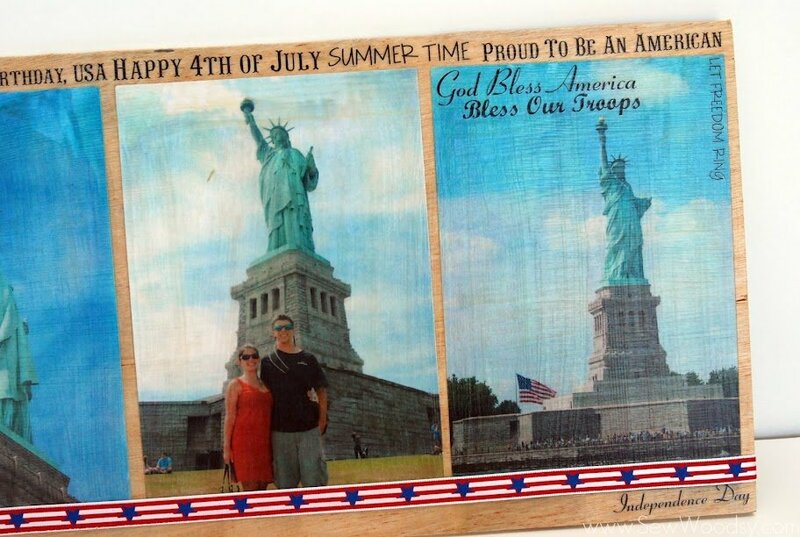 Mr. Woodsy and I visited New York City last 4th of July. 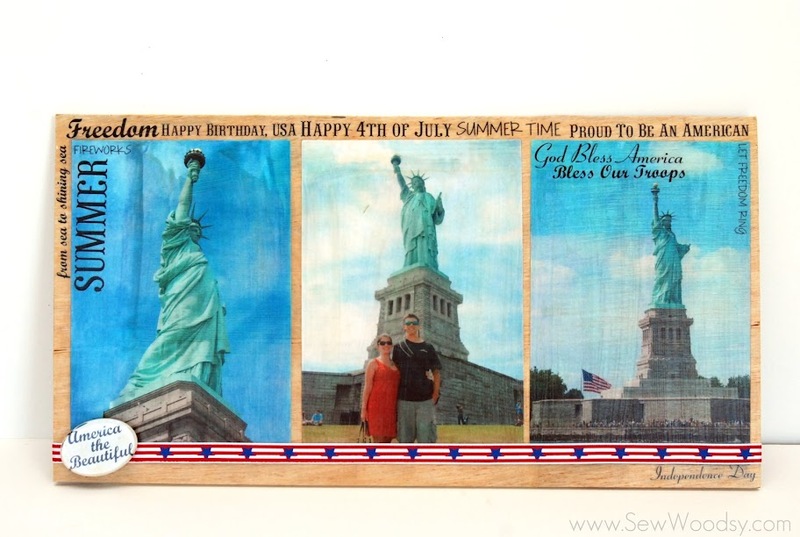 To make it even more patriotic of a visit– we visited the Statue of Liberty and Ellis Island on America’s Birthday! 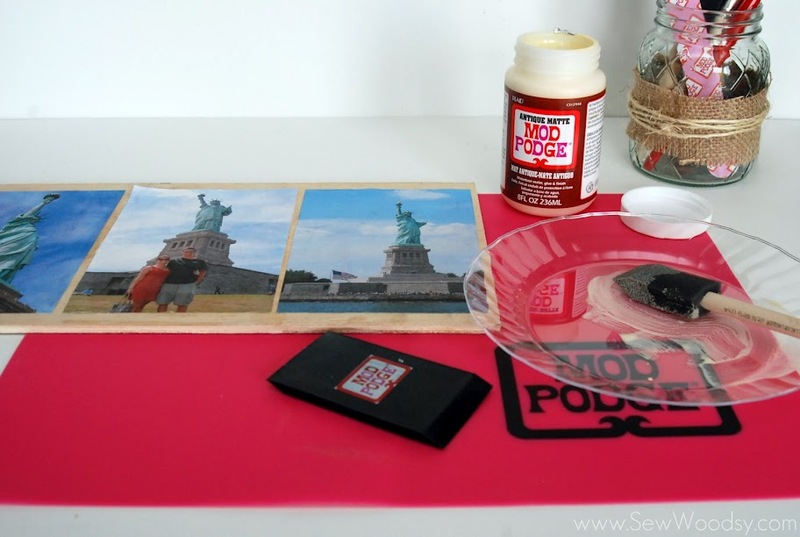 I’ve yet to display any of the photos I took on our trip to NYC last summer, and with Independence upon us I figured this was the perfect project to salute the United States and try out all the new Mod Podge products! 1. 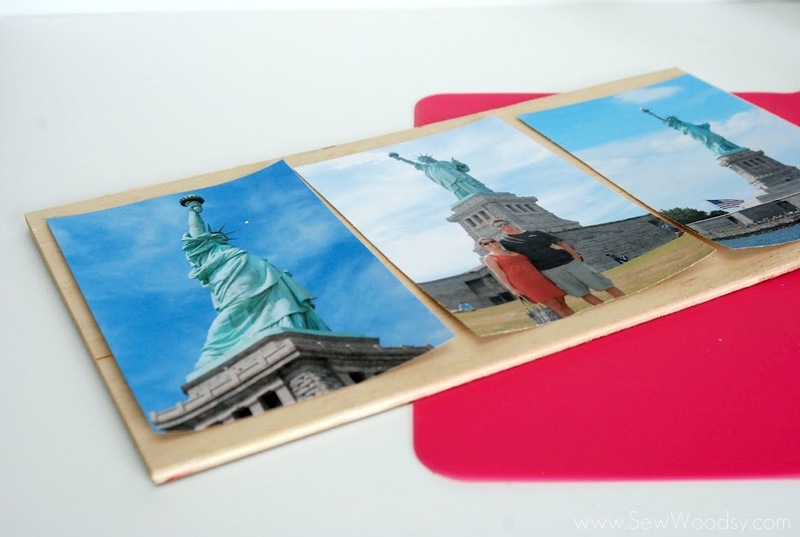 Cut your photos to the size of the wood. In my case I wanted to have about a half inch board of wood on the bottom and a quarter inch exposed wood on the sides. 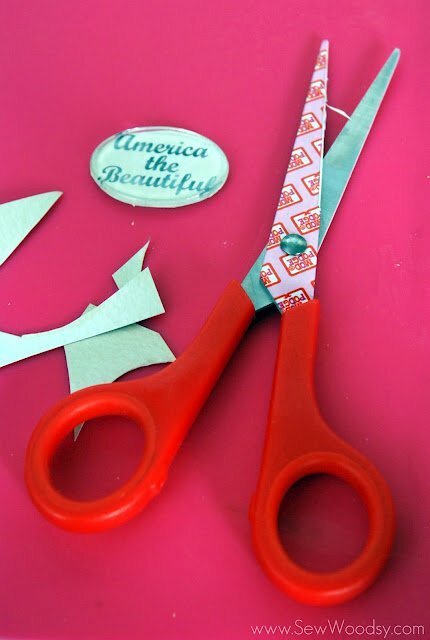 *The Mod Podge scissors can be found in the Mod Podge Seven-Piece Tool Kit. 2. Place the images where you want them to be. 3. 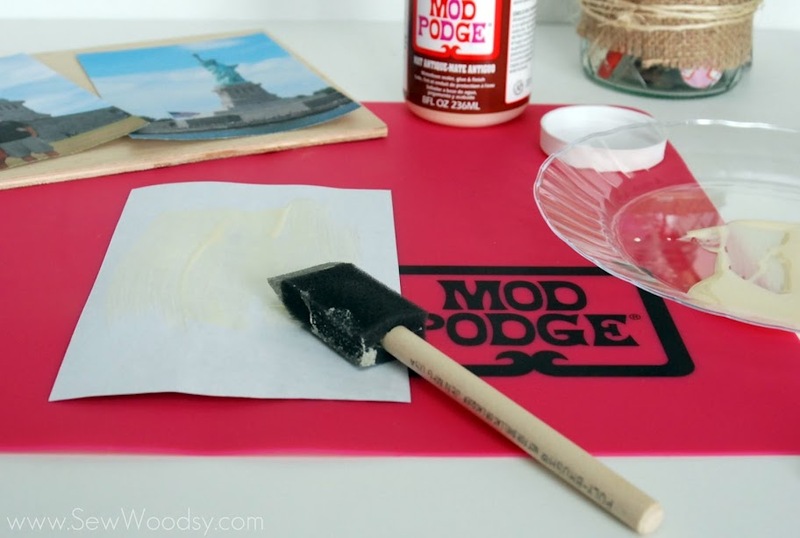 Place your Mod Podge Silicone Craft Mat down on your work surface and then pour the Mod Podge Antique Matte onto a disposable plate. 4. 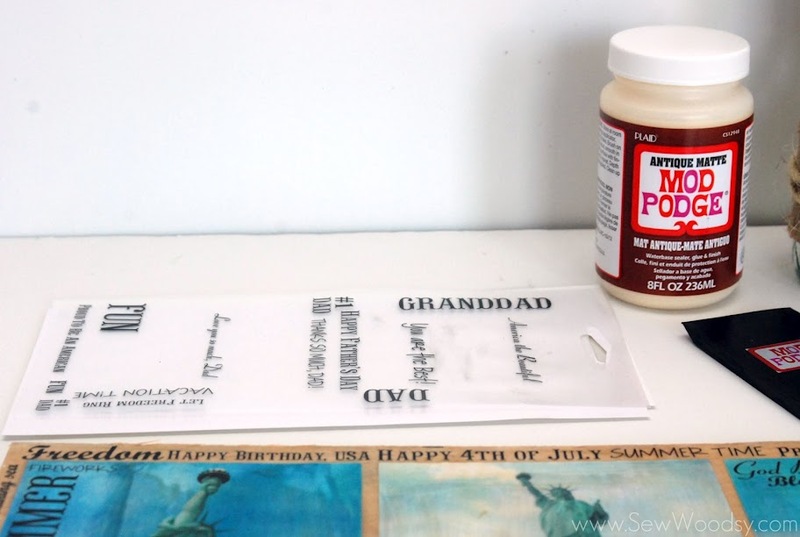 Using a sponge brush, begin applying a thin coat of Antique Matte Mod Podge on to each of the paper photos. 5. 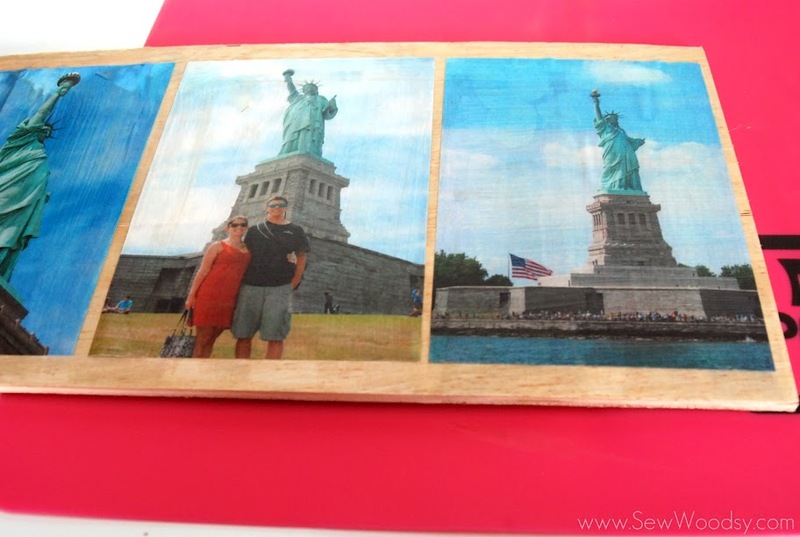 Place the photo on the wood and begin smoothing out all the air bubbles. 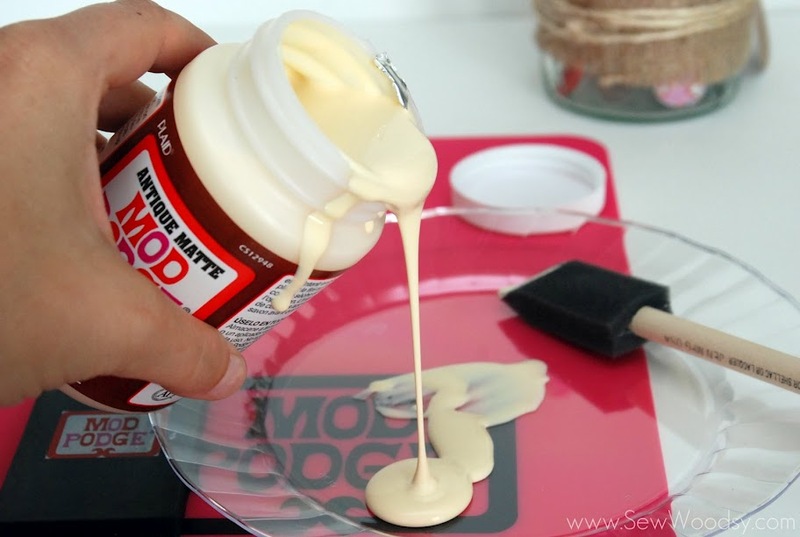 This handy smoothing stick can be found in the Mod Podge Seven-Piece Tool Kit. 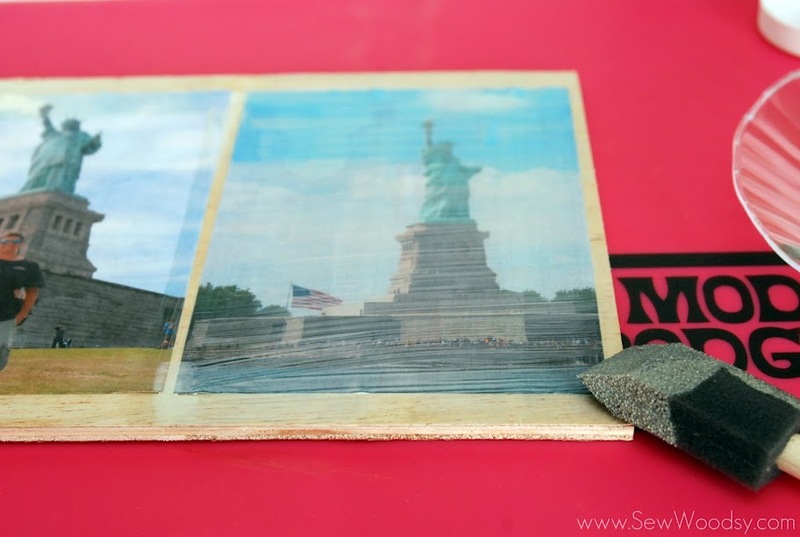 *Once all of your photos have been adhered to the wood its time to begin applying a top coat of Mod Podge to the top of the photos. 6. 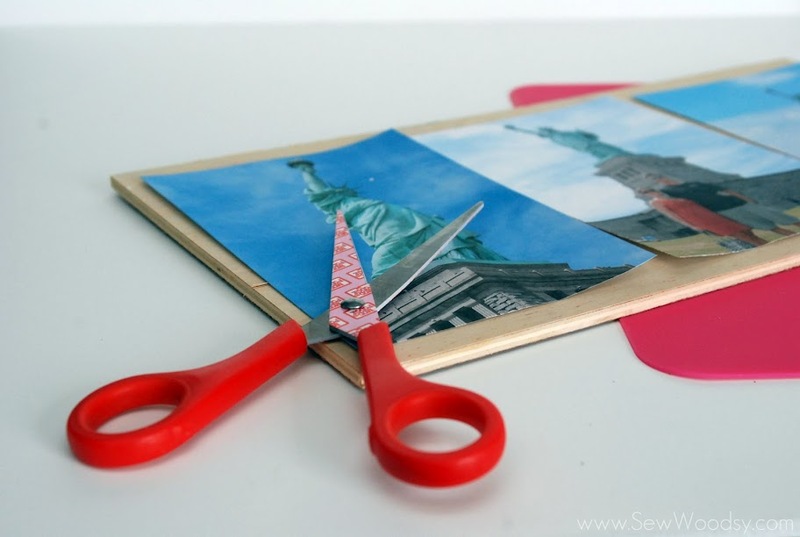 Brush a thin layer of Antique Matte Mod Podge on to the top of the photos. *I did two thin coats–letting each coat dry 20-30 minutes between coats. 7. 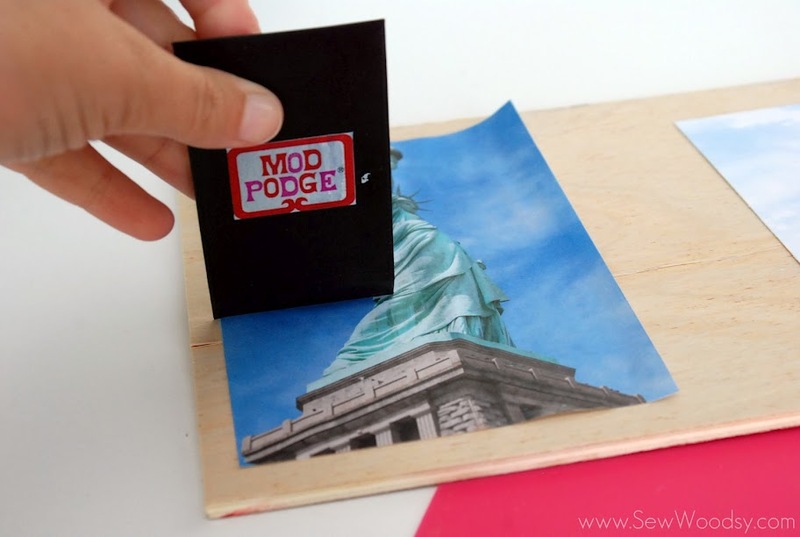 Next, gather your Mod Podge Podgeable Papers and your Mod Podge Rub-On Transfers. 8. 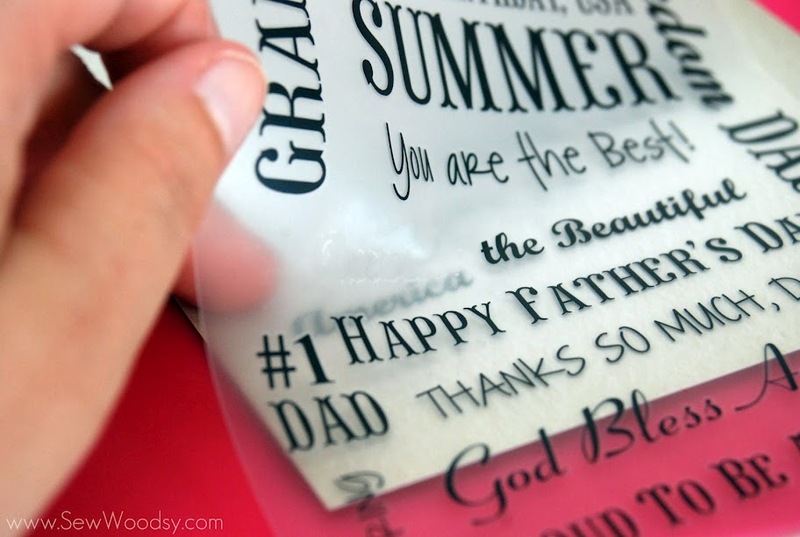 Chose a phrase of your choice and a podgeable paper of your choice and begin rubbing the transfer on to the paper. 9. You’ll notice that its adhered when the color on the plastic goes from vibrant black to dull black (like pictured above). 10. Gently pull up the plastic. 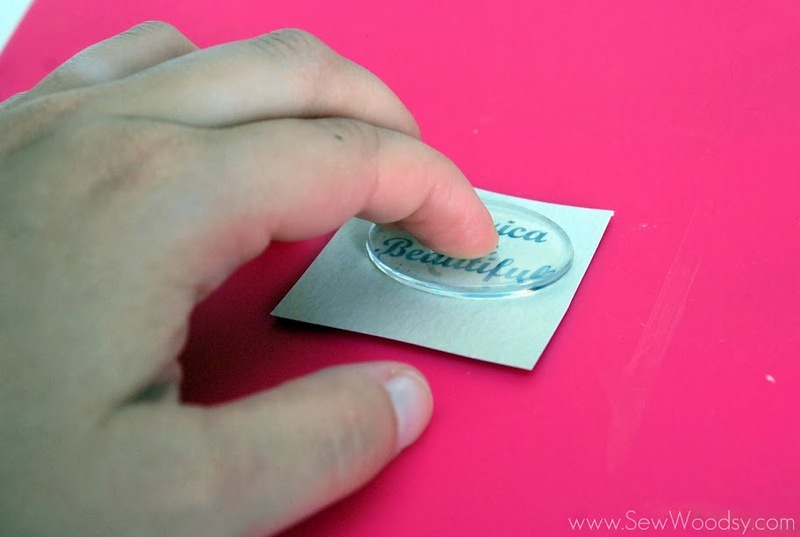 *If for some reason you see a piece of the letter still on the plastic, place the plastic back on the paper and gently rub and then slowly remove the plastic. The first word has been transferred on to the sheet! 11. 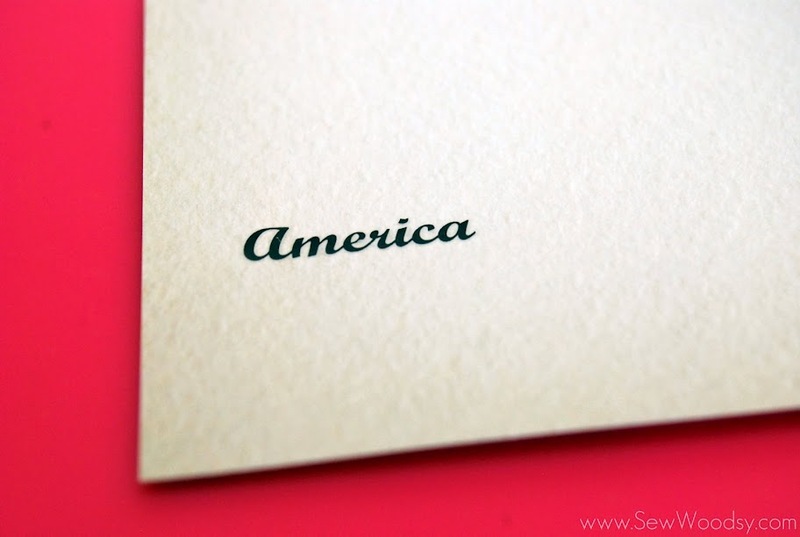 Once the desired words have been transferred on to the sheet of Podgeable Paper you’ll want to cut the paper to a smaller size. I then placed the Mod Podge Podgeable Shapes over the words. 12. 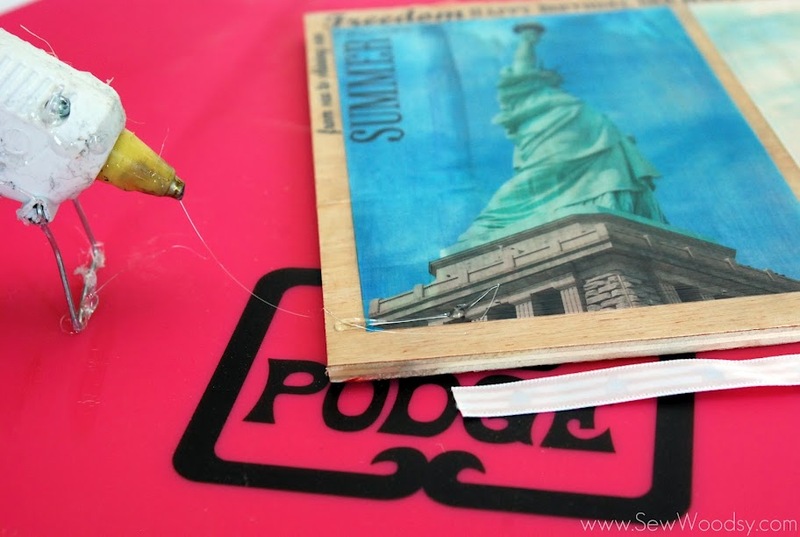 I then dabbed a little bit of Antique Matte Mod Podge on to the back of the Podgeable Shape. 13. Place the Podgeable Shape on top of the rub-on words and paper. 14. Then carefully press down on the Podgeable shape. 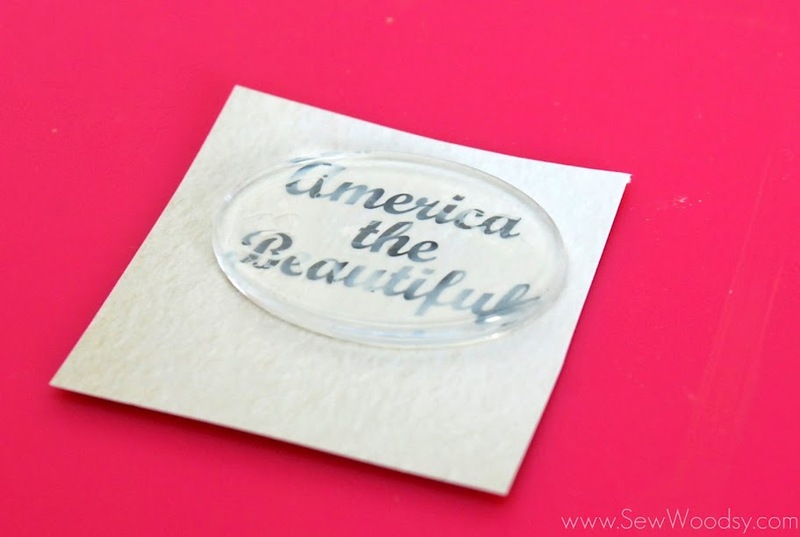 This will help it adhere better to the paper and push out any air bubbles it may have gotten. 15. 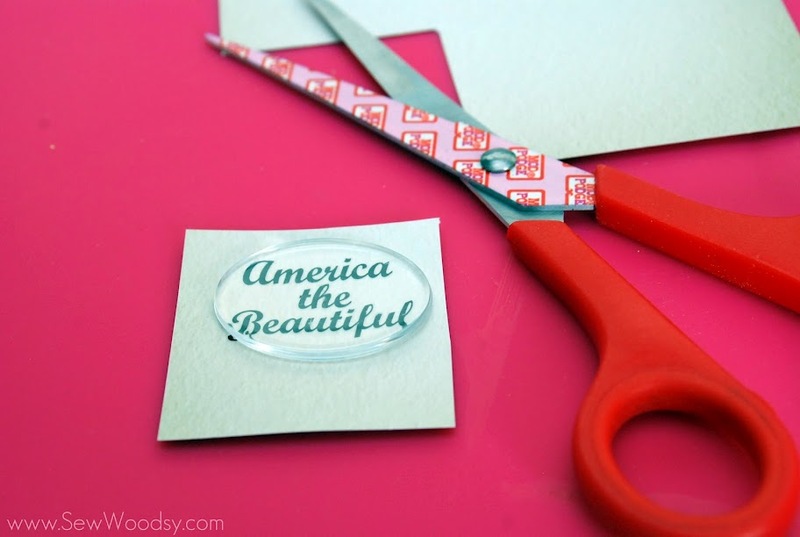 Once your Podgeable Shape has dried (about 15-20 minutes), begin cutting around the shape with scissors. 16. 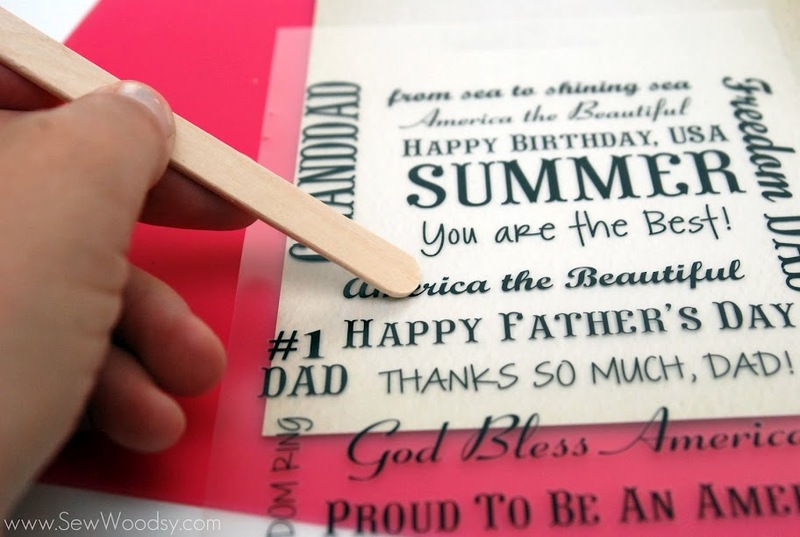 Then, using a nail filer, file the edges of the paper so that they are smooth. 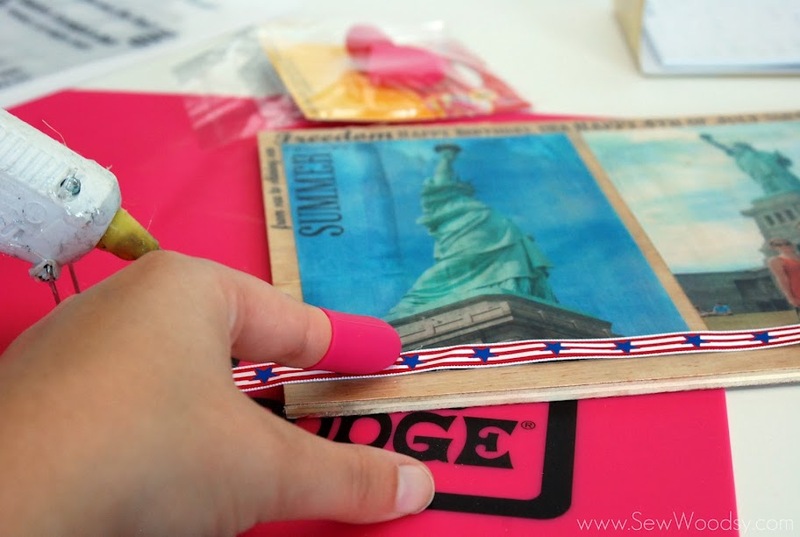 This nail file is in the Mod Podge Seven-Piece Tool Kit. 17. Next up, it’s time to start applying more rub-on phrases to the photo plaque. 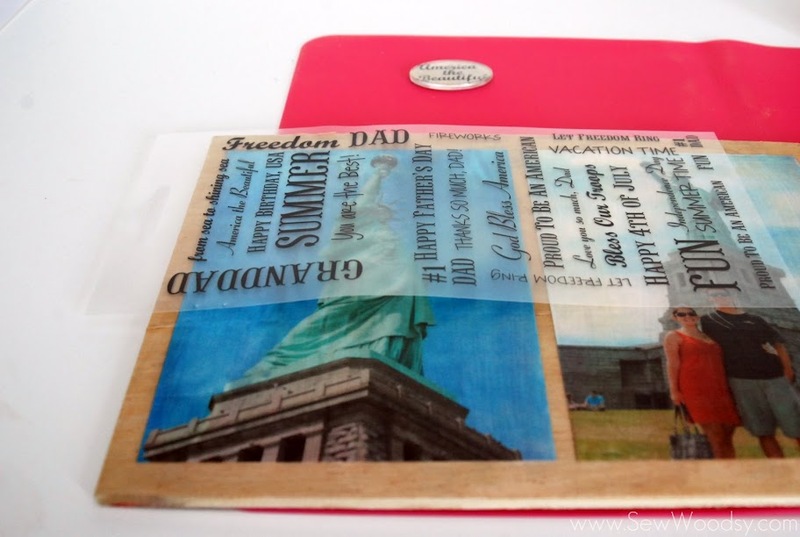 I wanted a subway style to my plaque so I just began rubbing on a variety of words in different shapes and sizes that had to do with the 4th of July. 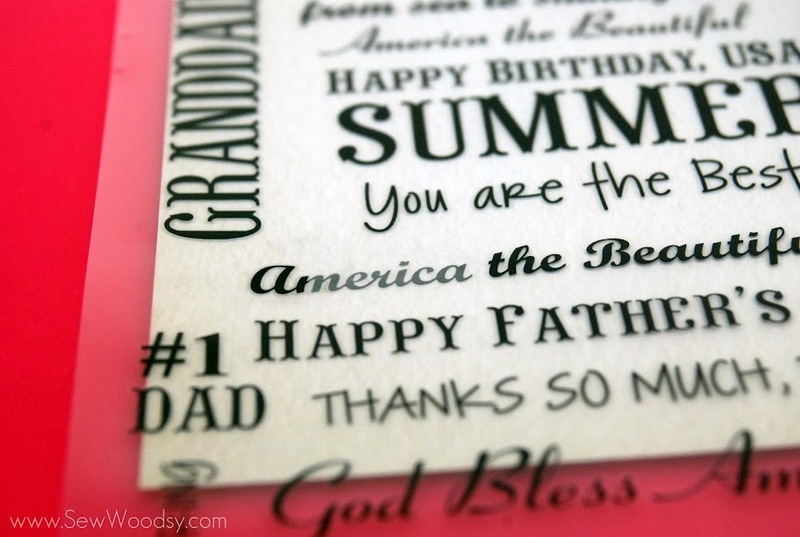 By the time I was finished rubbing on phrases I had used almost every phase Independence day phrase on the sheet! 18. 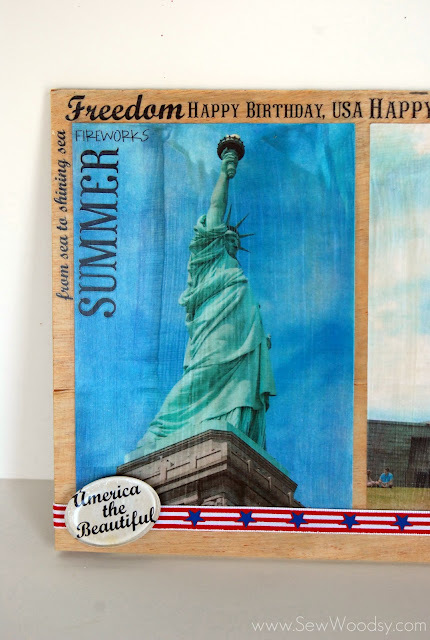 Begin to preheat your glue gun. 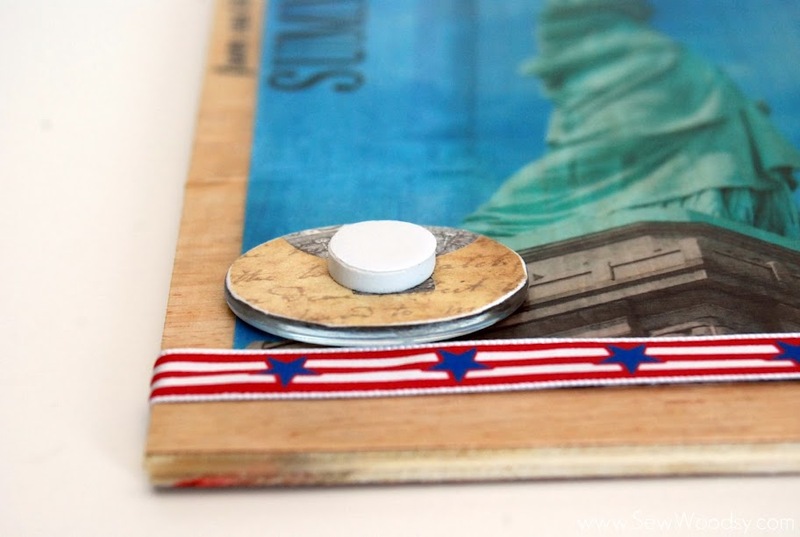 Then grab your patriotic ribbon and Podgeable Shape and decide where you want to place it on the plaque. 19. 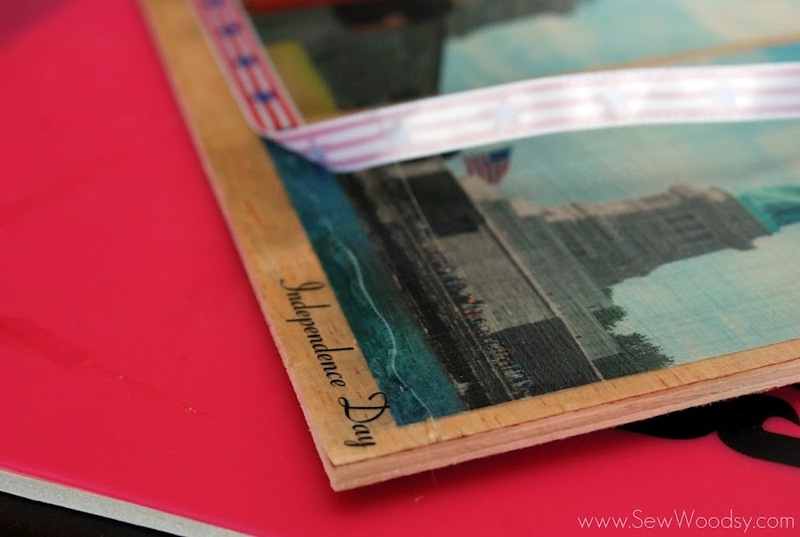 Once your glue gun is preheated and you’ve decided where you want to place the ribbon, begin applying a small amount of hot glue on to the plaque. 20. 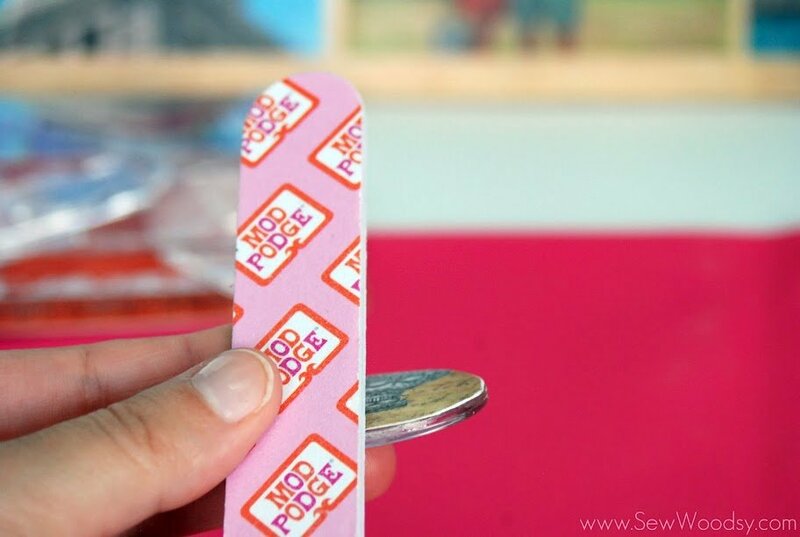 Using the Mod Podge Hot Glue Finger Caps press the ribbon onto the wood. 21. 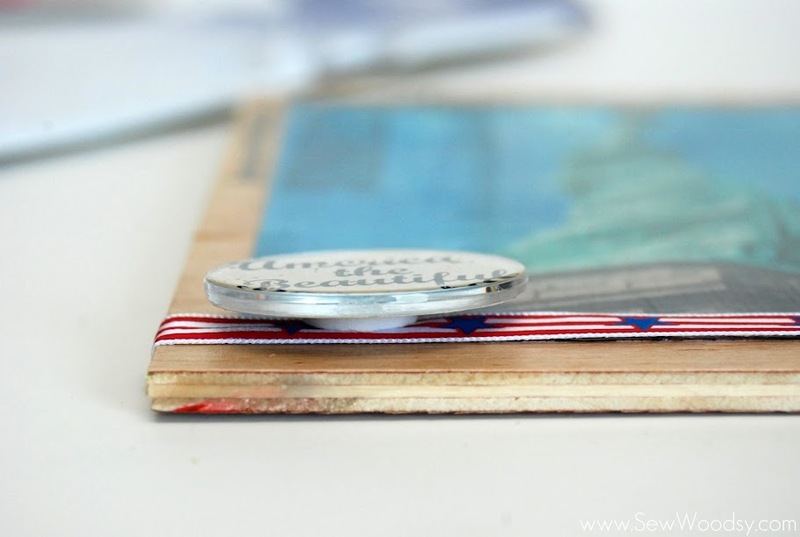 Then apply a dab of hot glue to the back of the plaque and smooth out the ribbon and hot glue. *It should look like this. 22. 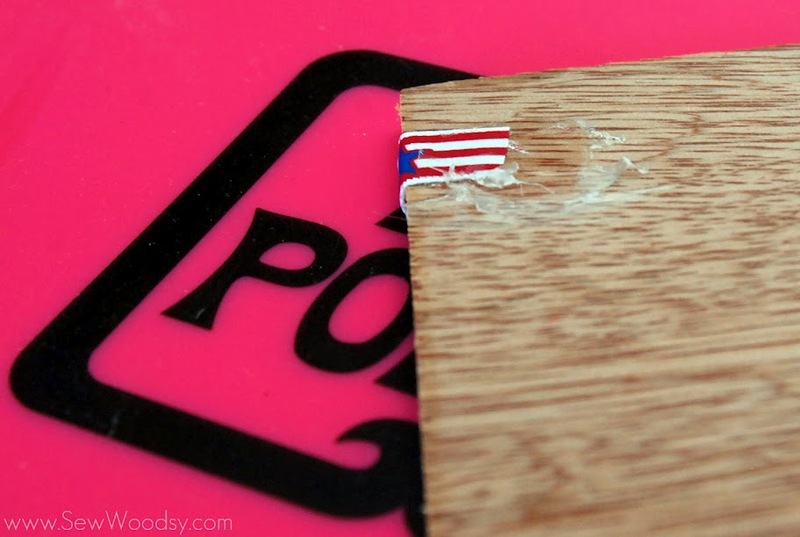 Place the last little bit of hot glue on to the plaque. Repeat steps above. 23. Next up, it is time to adhere the Podgeable shape to the plaque. 24. 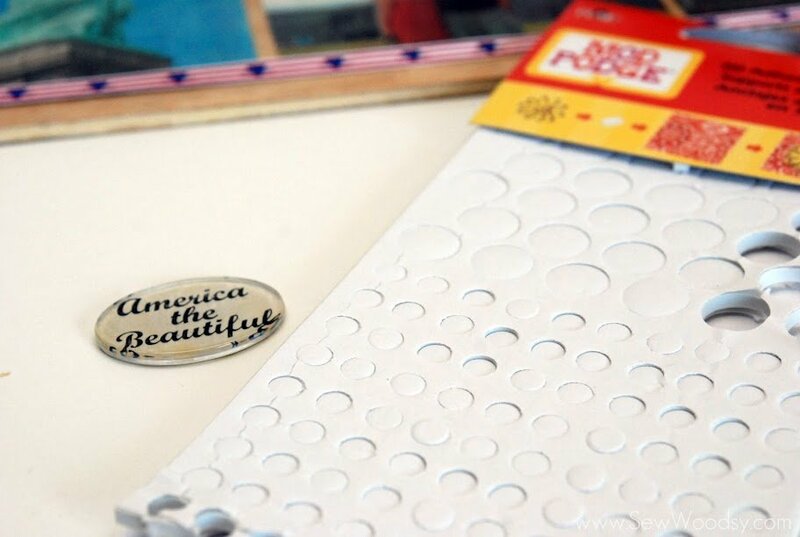 Place one large Mod Podge 3D Adhesive Mount on the back of the Podgeable shape. 25. 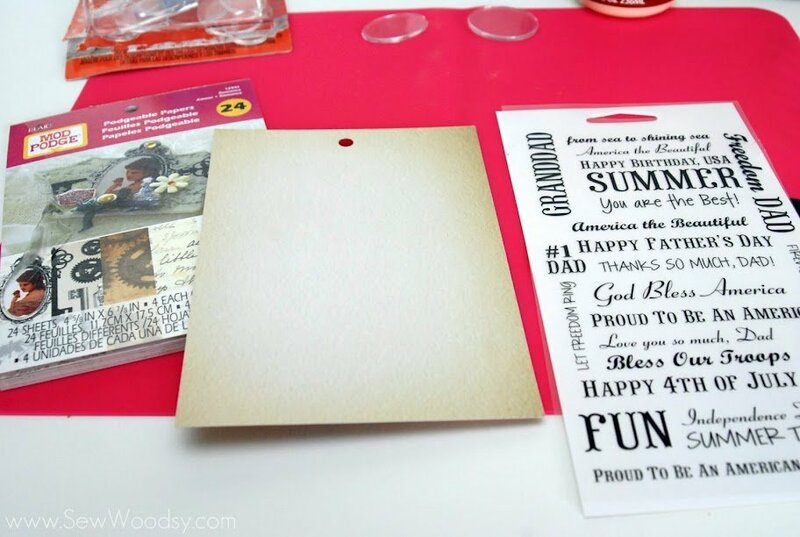 Adhere the Mod Podge 3D Adhesive Mount to the plaque. Enjoy your project–it’s done and time to be placed somewhere in your house where everyone can admire! 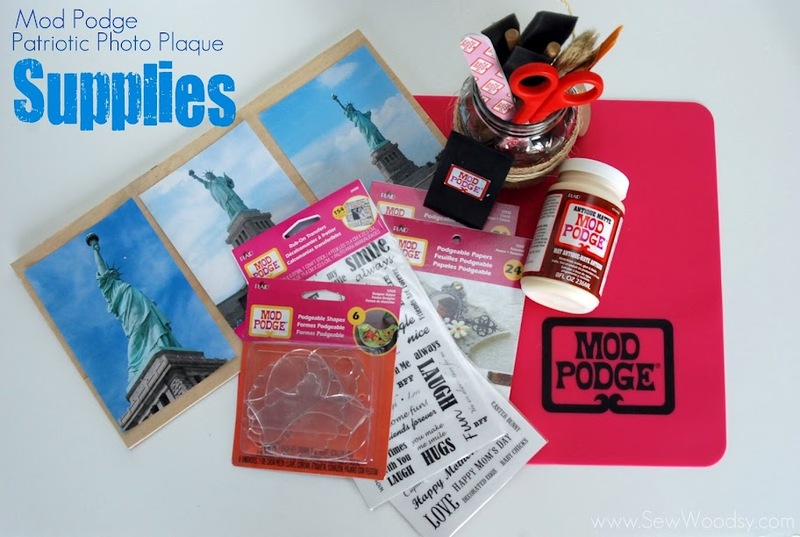 By now you should start to see all of these new Mod Podge products in Michael’s Craft Stores. 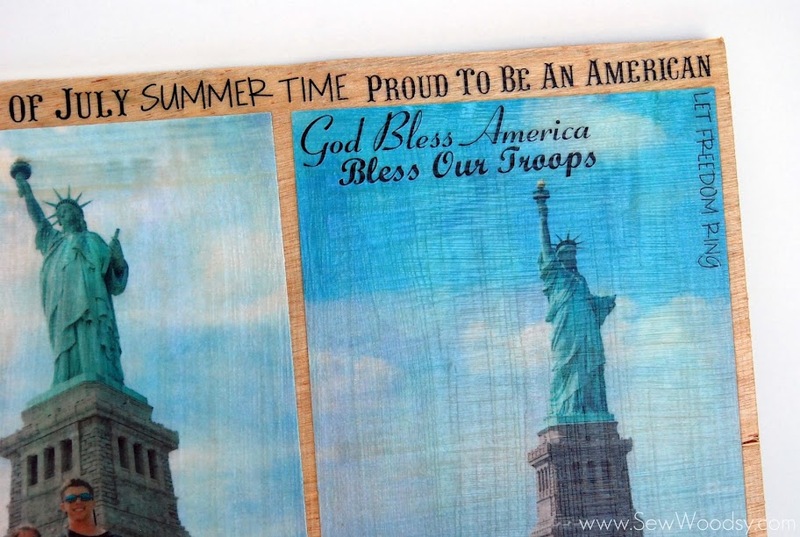 For more ideas feel free to follow Plaid Crafts on Pinterest, Facebook, and Twitter. Disclosure: I received product and payment via The Blueprint Social for this post; however, opinions are 100% my own.